Thrilled to announce the long anticipated opening of “All These Witches” at Crucible Art Gallery online tonight, October 5th,at 5PM! 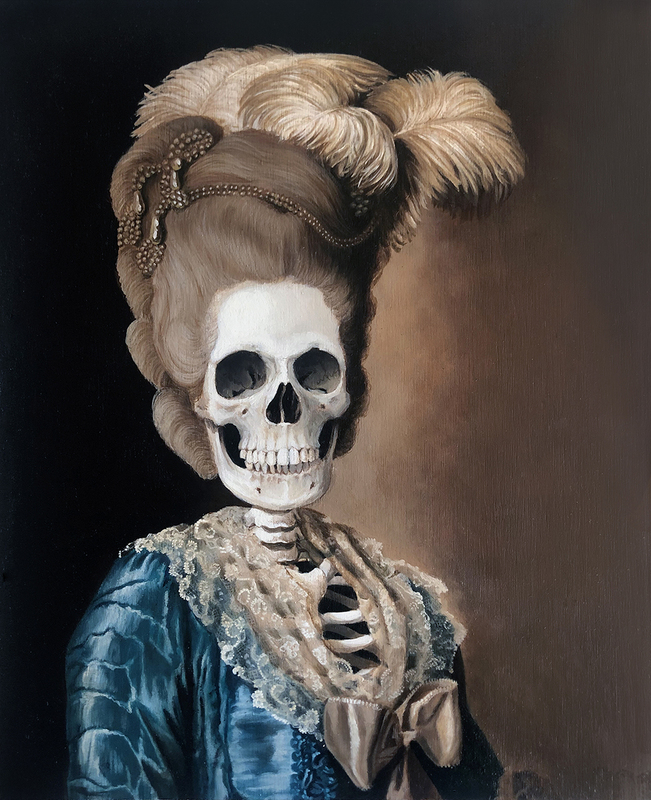 I am delighted to introduce to you my new series, “Dead Masters”, paintings inspired by traditional old master portraits. Three of these pieces are included in this show. Scroll below to see the paintings and the inspiration.